Tellicherry black pepper are peppercorns that are larger than 4.25 millimeters. They are not simply peppercorns from the Indian city, Tellicherry, though many Tellicherry black peppercorns originate there. Neither are they a distinct species of pepper. They grow on the same vines (called Piper nigrum or, more commonly, black pepper vines) that all peppercorns do. However, Tellicherry black pepper stands apart from other peppercorns. 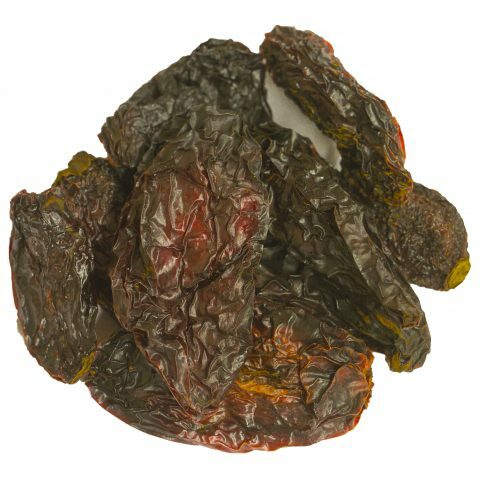 It’s regarded by many as the best pepper in the world. The chemical piperine gives black pepper fruits their heat. As the pepper fruits grow, they lose some of their heat, which makes Tellicherry black pepper milder, fruitier, and more fragrant than the common Malabar black pepper. Tellicherry black pepper can used in any recipe that calls for Malabar black pepper or green peppercorns. Like other peppercorns, Tellicherry black pepper improves digestion, lowers cholesterol levels, aids weight loss, and helps remove toxins from the body. 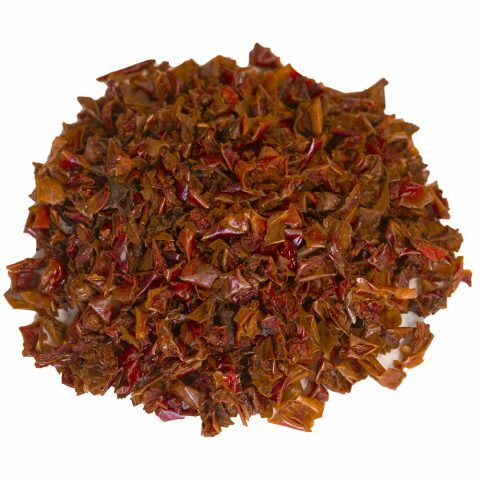 Tellicherry black pepper has some of the heat that you associate with pepper, but it’s slightly more balanced with fruity citrus notes. 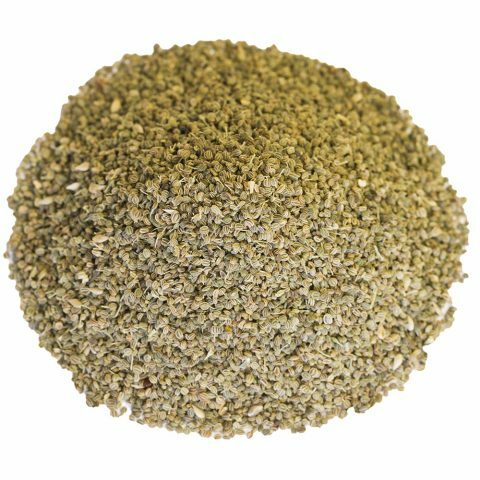 Tellicherry black pepper tastes great in spice rubs for roast pork, beef, or lamb. It also works well in sauces, salad dressings, and marinades for tofu and meat. Malabar black pepper can get lost in a curry spice blend, where strong flavors like turmeric and cumin tend to dominate. However, when you add Tellicherry black pepper, you’ll make your curry shine. As an exotic ingredient, Tellicherry black pepper deserves a place in special recipes. For example, you might use it instead of Malabar black pepper on a good Wagyu or Kobe steak. You can also keep Tellicherry black pepper in your best grinder to impress your friends at dinner parties. Ground: Grind your Tellicherry black pepper in a spice grinder or mortar and pestle before using. The grinding process doesn’t just make the peppers finer. It also releases more of the pepper’s beautiful oils and aroma. 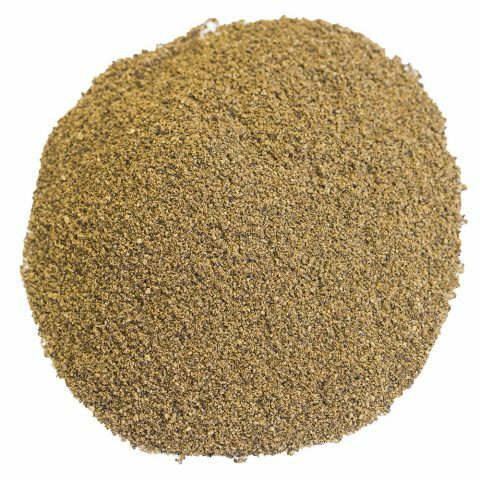 While unground Tellicherry black pepper lasts for years, once ground down, it will lose most of its fragrance and taste within 30 minutes. Only grind as much as you need at a time because it tastes best when freshly ground. Whole: Wrap some Tellicherry black peppercorns in a cheesecloth pouch and add them to a soup, stew, or casserole. The peppery flavors will infuse into your dish. Remove the peppercorn pouch before serving. Black pepper has been used for thousands of years around the world. Black pepper was so important to the people of Ancient Egypt that the pharaoh Ramses II was mummified with black peppercorns in his nose. Evidence shows that people in modern-day India have cooked with black pepper since at least 2000 BC. Black pepper was one of the most important spices traded in Europe during the Age of Discovery. In the ancient world, black pepper typically traveled on trade routes through the Indian port of Malabar. This trade was integral for Malabar’s development. In turn, the port gave its name to the common black peppercorn, which is known as Malabar black pepper. Black pepper was also used in China as early as the second century BC, and, by the 12th century, it was widely used in this prominent Asian nation. Wealthy Chinese people often used black pepper as a substitute for their native Szechuan pepper. Black pepper vines grow best in tropical climates. They are native to Kerala, located in southwest India, but also grow in other warm nations, including Indonesia, Brazil, and Vietnam, the world’s largest pepper producer and exporter. Black pepper vines grow best in moist, well-drained soil that’s rich in nutrients. They start bearing fruit four or five years after they’re planted and then continue growing pepper fruits for around seven years. Pepper growers pick the pepper fruit from the vines in February and March, when the growing season is over. Tellicherry black pepper fruits are picked at the same time as regular Malabar black pepper fruits. At this stage, the pepper fruits shouldn’t be fully mature; if they are, they’ll lose their pungency. The fruit spends days drying in the sun. When they shrivel, they become peppercorns. The peppercorns are sent to garbling facilities, where they’re sorted according to their size. The peppercorns are then passed over large hole-covered metal screens, and they fall through the holes. The smallest fall to the bottom and the largest stay at the top. These are the tellicherry black peppercorns. We source the world’s finest Tellicherry black pepper from India. These peppercorns are grown and processed in the hills of Kerala on India’s southwestern coast, the original home of black pepper vines. Local growers handpick the very best Tellicherry black peppercorns so that you can enjoy them at home.